How British are Jaguar and Land Rover? It’d probably be more accurate to call Jaguar-Land Rover a British subsidiary of an Indian company. The brands are owned by Mumbai, India-based Tata Motors Ltd., which acquired them in 2008. Jaguar hasn’t been British *owned* since 1989, when it was acquired by Ford Motor Co. Land Rover hasn’t been British owned since it was bought by Bayerische Motoren Werke AG, better known as BMW, in 1994. 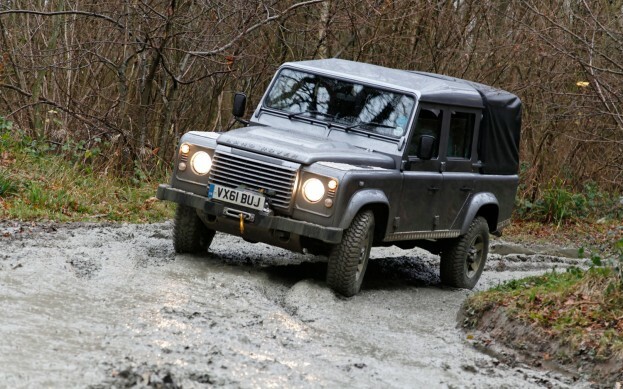 BMW sold Land Rover to Ford in 2000. Ford sold both brands to Tata four years ago. Then again, the literary Bond preferred Bentley, a brand that has been owned by Volkswagen AG since 1998. A decade ago, Ford had a product placement deal with Eon Productions where Die Another Day would feature the European luxury brands the U.S. company then owned, including Jaguar, Land Rover and Aston Martin. Die Another Day also included a Ford Thunderbird (since discontinued) which was driven briefly by Jinx (Halle Berry). Prior to that, BMW had provided cars for Bond in Pierce Brosnan’s first three 007 films. In 2006’s Casino Royale, a Ford Mondeo, a model sold in Europe and not the U.S., appeared as did an Aston Martin model, both driven by Daniel Craig. Ford sold off Aston the following year. Ford models appeared in 2008’s Quantum of Solace. Skyfall is emphasizing Tata’s U.K. models and the nearly half-century-old Aston Martin DB5, which originally appeared in Goldfinger. The DB5 has been making appearances periodically in the series since 1995’s GoldenEye (including Casino Royale, as a car Bond wins in a poker game).